The collections of Arredoclassic will be the protagonists of a TV-special dedicated to the design week in Milan, on the air this week from Monday 12 May to Sunday 18 May in the early evening on Fashion TV Russia (20:30 Moscow). The channel will be visible on the satellite platform also in the countries of the Middle East and Eastern Europe, as well as on live streaming in the internet. The video was made by a television crew who joined us in the booth to show our Collections to the wider international audience, enhancing the harmony of unique environments designed for the fair. 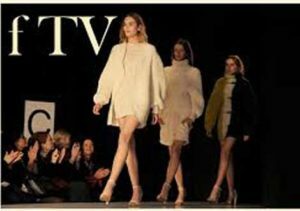 With a catchment area of ​​350 million users in 193 countries, Fashion TV is one of the most common networks in the world and a reference point for the world of luxury; a non-stop transmission, 24 hours a day, with news and insights on the most important quality events, international fashion weeks, the protagonists of the fashion and design, but also the latest trends in lifestyle, from food to the most popular tourist destinations. Do not miss the TV-special to relive the unique atmosphere of our ”Furniture Fair”. Twenty years of Italian classic furnishing: Happy Birthday, Arredoclassic!